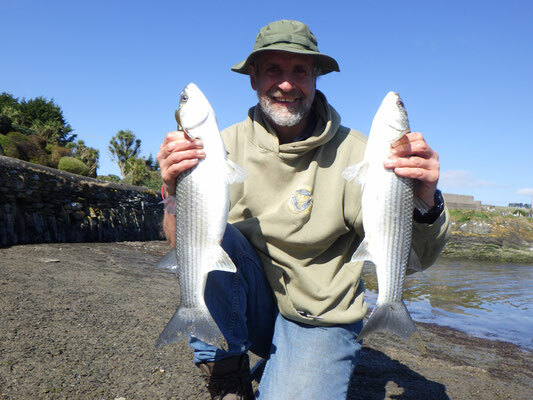 Back from Africa, a few days to recover ... and then a really stormy spell of weather that knocked thoughts of fishing on the head! 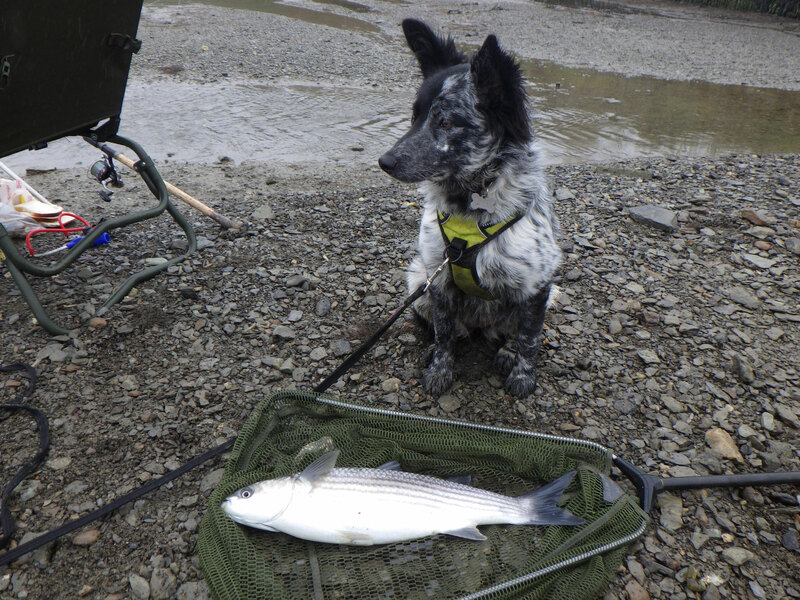 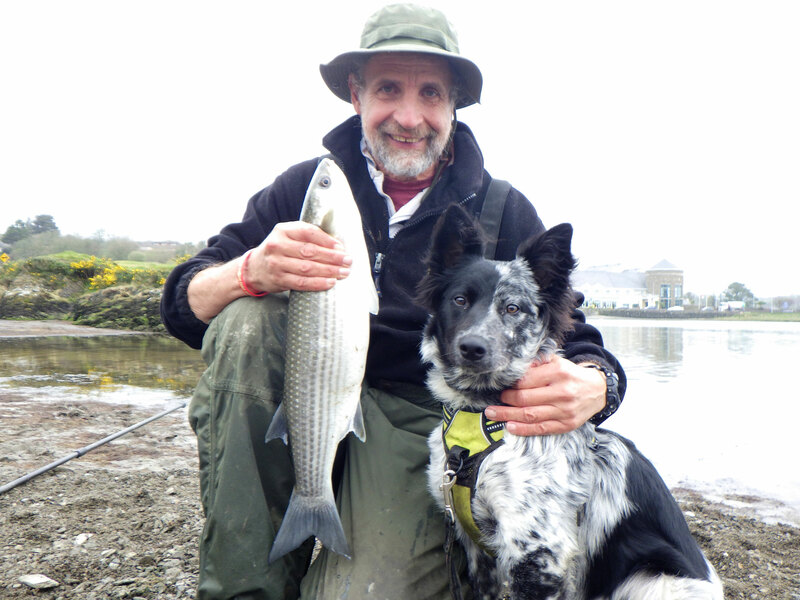 It was 20th March before I headed back down to Rosscarbery and the time had come take Fern Collie on her first mullet fishing expedition! 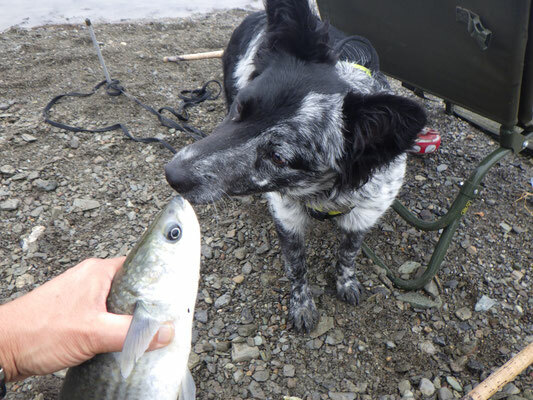 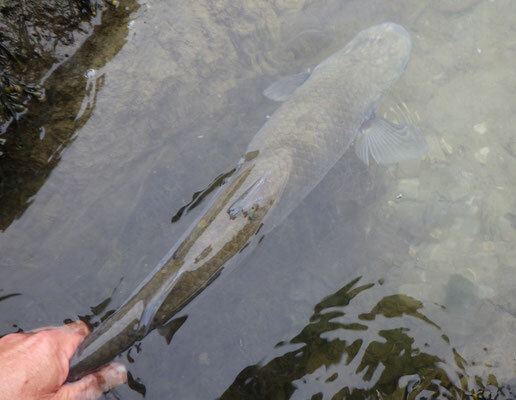 I chose an area of shingle foreshore where I could see a few mullet moving in the shallows and where Fern wouldn't get in anyone's way, set up and started fishing. 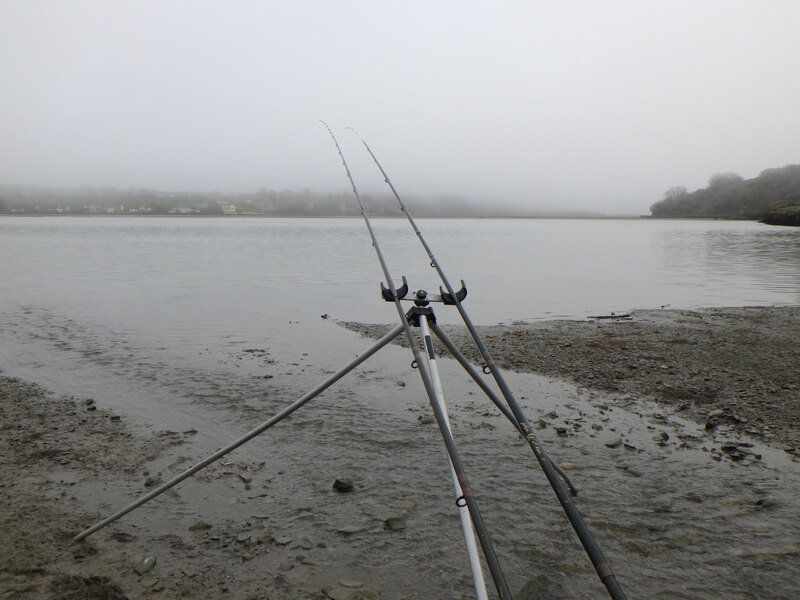 I was getting knocks and twitches on the tips almost from the off, and was soon into a fish that ploughed off through the shallows and gave a really good scrap. It was just under 4lbs and I soon added another one of similar stamp. The shoal moved further out in response to that, but by long casting I managed to keep contact and add a couple more fish to the bag before bites petered out altogether, one a bit smaller and one just over 4lbs. 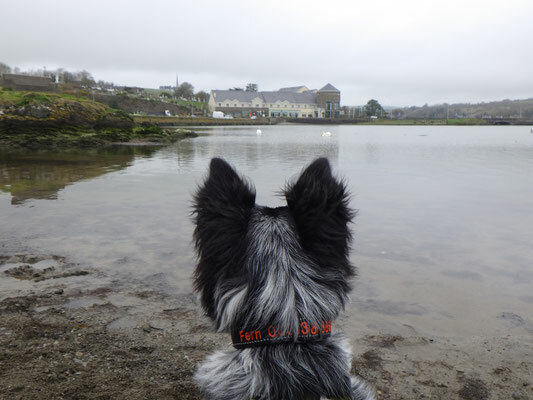 Fern had been as good as gold, sitting with me, not barking at too many passers-by and deterring the odd swan, but I didn't want to push her patience too far. 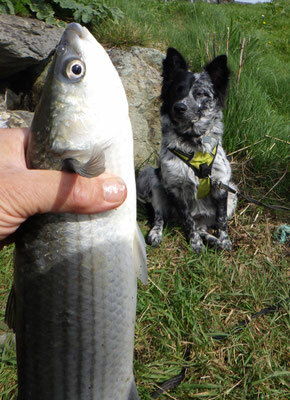 I was happy with four mullet so called it a day there. 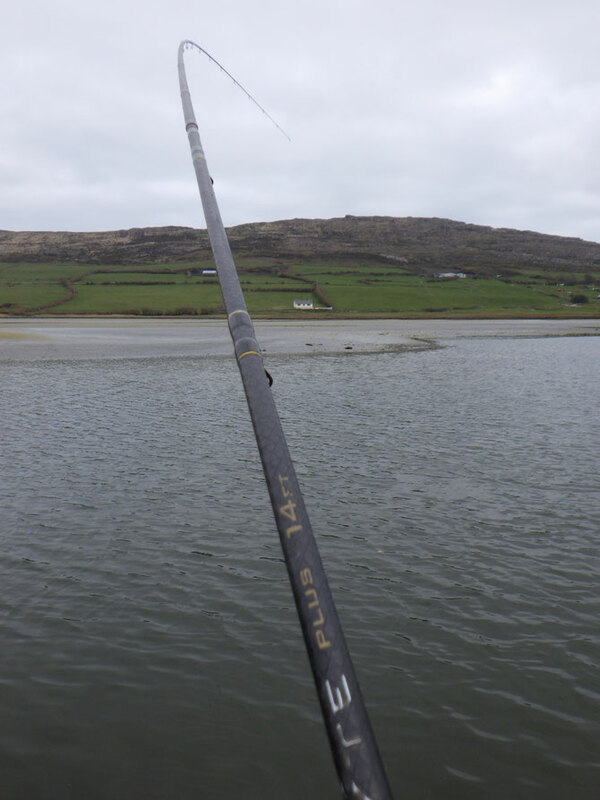 Today I made my first visit of the year to my favourite estuary on the Mizen Peninsula. 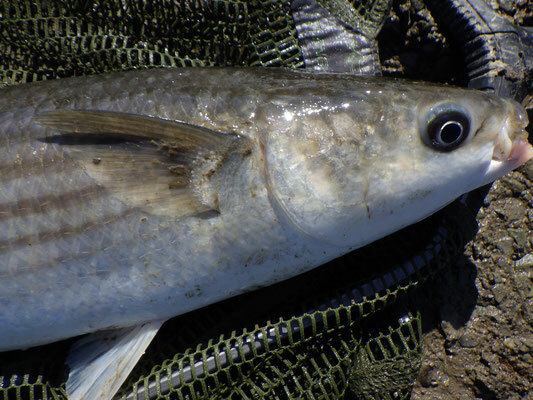 I could see straightaway there was a decent shoal of mullet in the low water pool by the bridge, a welcome sight after the venue flopped on me last year. 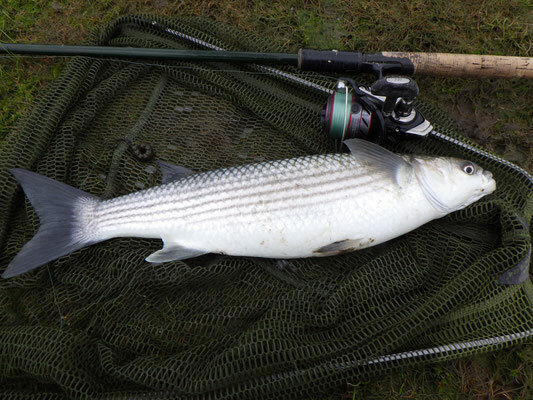 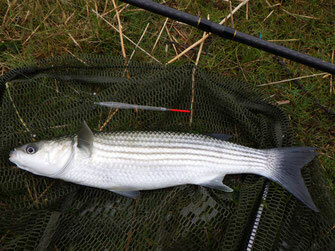 It was nice to have the float rod in action again too after all the leger fishing over the winter period. It was soon apparent though that the fish weren't large. The bites were difficult to hit, and when I connected with them the mullet were typically just under 2lbs weight - still, game little scrappers. 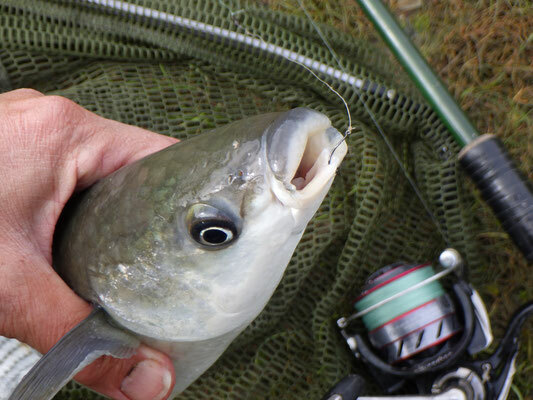 While most of the fish were pristine, it was disappointing to catch one that was in a rather sorry state. 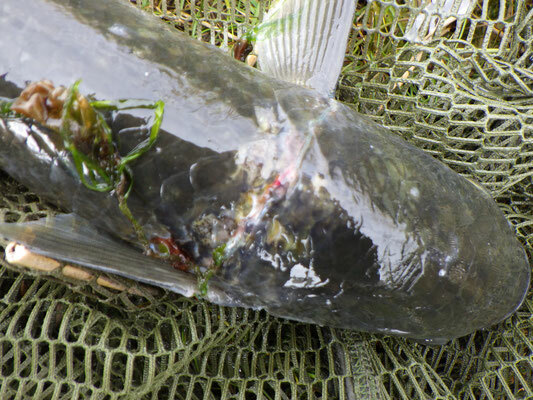 A loop of nylon monofil had cut into its flesh just behind its gills leaving a nasty wound. I was able to snip the loop and pull it out then return the fish. 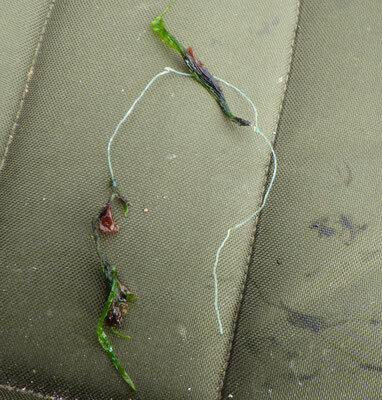 The knots in the loop identified it as a single diamond section from a gill net, though how this could have separated from the rest of the net is a mystery to me. 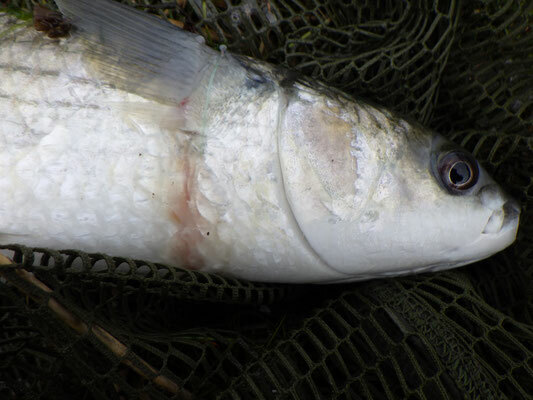 A few years ago I caught a similarly afflicted mullet from the Sussex Ouse. That fish was subsequently recaptured by Eddie Baker, easily identifiable by the scarring, so I'm hopeful that this one will survive okay.